Patrick Starnes, a cabinetmaker and gubernatorial candidate from the Independent Party of Oregon, on Tuesday filed an elections complaint that could test a 2017 state law that encourages debate hosts to invite all major party candidates. Starnes filed the complaint just hours before the final debate in the Oregon governor's race, scheduled in Portland for Tuesday evening. He was left out of the debate. He has been barred from participating in two out of the three gubernatorial debates before the Nov. 6 election. Organizers of the three televised gubernatorial debates have resisted including Starnes, largely because of limited broadcast time and his low odds of winning. Starnes, from Brownsville, participated in the first debate Oct. 2 in Portland after the Independent Party threatened legal action. 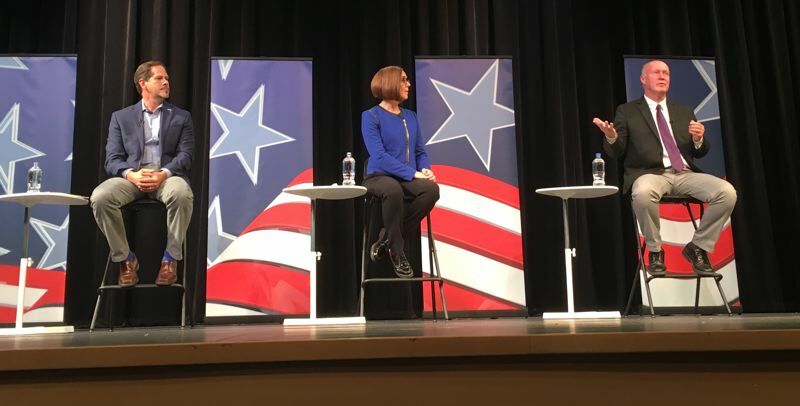 Starnes wasn't allowed in the Oct. 4 debate hosted by KOBI television in Medford or Tuesday's debate, hosted by KGW and The Oregonian/OregonLive. Only incumbent Gov. Kate Brown and state Rep. Knute Buehler, R-Bend, were included. Starnes's complaint against KGW/The Oregonian/OregonLive and KOBI marks the first time anyone has sought to enforce the law. "I think we are on the high ground here," Starnes said Tuesday, Oct. 9. "People are really ready for more choices." By filing the complaint, he hopes to force news outlets to report the cost of the debates and air time as in-kind contributions to the campaigns of Brown and Buehler. 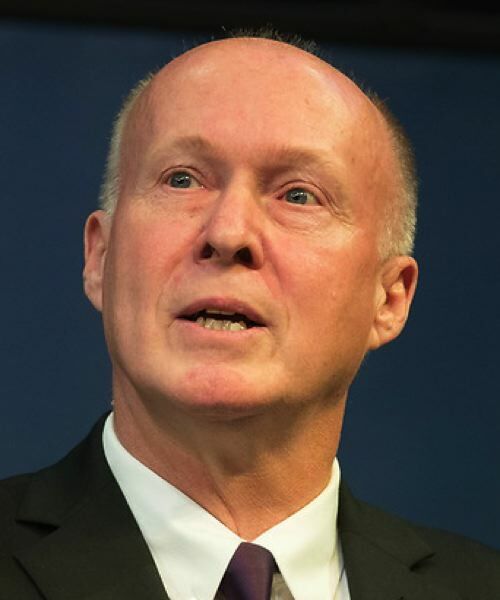 "We have looked carefully at Mr. Starnes' new claims and remain confident that we are on firm ground, fully supported by Oregon law," said Duane Bosworth, a Portland attorney for KGW and The Oregonian/OregonLive. "The format we are using best serves Oregon's voters." Lawyers with the Independent Party argued that excluding a major party candidate carries a requirement to report an in-kind campaign contribution to the candidates who were included. The Independent Party became Oregon's third major political party in 2015. Starnes had planned to file the complaint against the news outlets with the state Elections Division last week and met in Salem with state Elections Director Steve Trout to discuss his position. But a day later, the state concluded that such debates weren't subject to the law requiring spending reports. Trout told Starnes in a telephone call that he and his staff concluded that a debate was not considered a campaign finance contribution, said Deb Royal, chief of staff for Secretary of State Dennis Richardson. Starnes said he opted to file the complaint to force a written decision by the Elections Division. The complaint focuses on a letter by legislative attorney in July who supported the Independent Party's argument. Deputy Legislative Counsel Dan Gilbert wrote that if a debate occurred within two months of the general election, "it would likely fall within the expanded definition of a 'communication in support of or opposition to a clearly identified candidate or measure." As a result, a media outlet that excluded a major party nominee would "likely" have to report the value of the debate as an independent expenditure or a contribution to the campaigns of the two participating candidates, he stated. "It appears that the secretary of state intends to dismiss Mr. Gilbert's legal analysis," Starnes wrote in the complaint. "As Mr. Gilbert points out, to ignore the statute in the way the secretary of state intends would effectively gut the statute." Starnes argued that "there is no logical difference" between a candidate debate hosted by a nonprofit group such as the League of Women Voters and one organized by KGW or KOBI. "Yet, the secretary of state has stated its intent to find that in one case, the (organizer) must follow the law and count the production as a contribution and in the other, it becomes a news event because it's organized by the media," he wrote. "The secretary of state is making a distinction without a difference and gutting the reporting law, and ignoring the opinion of Legislative Counsel." Royal said Tuesday it was too early to comment on how the Elections Division would act on the complaint.